Happy New Year from Extension Administration. Kelly and Mary Kay hope you all enjoyed time with friends and family and maybe a little time for yourselves. 2019 is sure to be an eventful year with many changes ahead. Most notably will be the search for a new Dean for the College of Agriculture and Natural Resources. The job posting is at http://www.uwyo.edu/hr/hremployment/showjob.asp?jobid=13582. If you know of someone you think should apply, you can share this link and/or you can send nominations to any member of the search committee or the search firm. You may contact any search committee member. 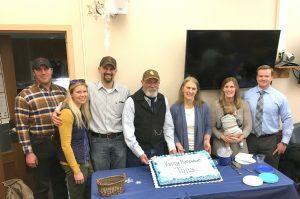 The three members who most directly represent field extension educators are Amber Armajo, Kentz Willis and Bridger Feuz. We also are starting this year with a new Human Capital Management system that is cloud-based. Please attend to emails with training requirements and requests. As with any new system, we will have to work through some challenges. We have been using some elements in our recent hiring and have found many features to be positive and efficient. Many of you have seen changes in your county leadership. We remind you to connect with new county officials, particularly new County Commissioners. They have a lot to learn, in many cases, and their partnership with Extension is unique. We encourage each of you to make time to present to your County Commissioners (in your county and your area counties) early in the year to share program impacts. We are working on performance appraisals and are reminded of the tremendous work you all have accomplished this past year. Whether answering a question on the phone or presenting a workshop to a large group, each interaction you have is representing our organization. While we are currently experiencing a lot of unknowns for the future, your focus and commitment to our clientele is ongoing and at the heart of what we do. Keep up the great work. All Extension employees have responsibilities that don’t include a teaching role. Those types of activities are critical to how well our programs function and we haven’t had an effective way to capture that in the past. 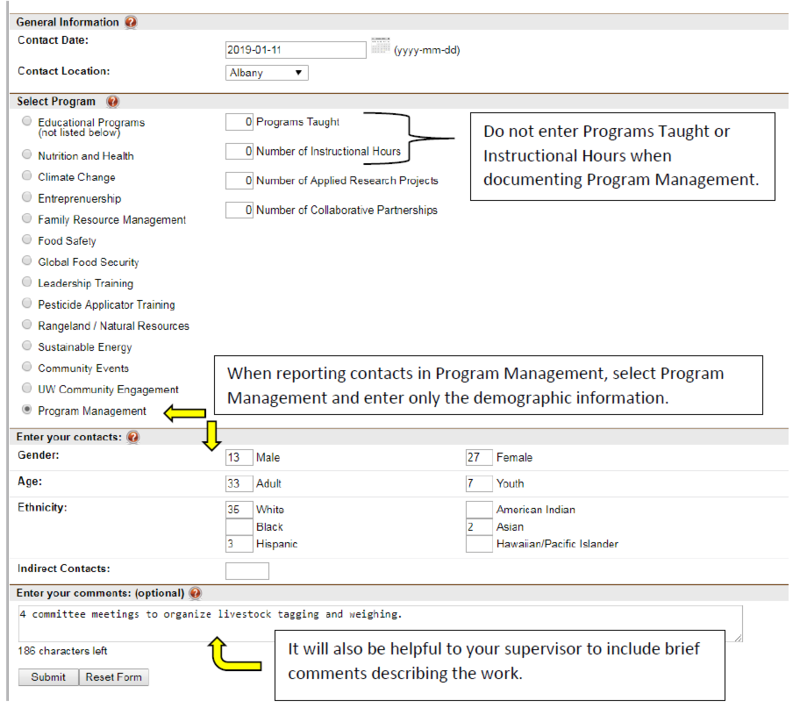 The Program Management option in contact reporting includes any activity that is fundamental to the program, requires coordination and oversight, often involves many other people, but doesn’t include a teaching role. Possible examples include fundraising and donations; volunteer recruitment and screening; organizing Master Gardeners; 4-H leaders’ council; 4-H project committees; advisory groups; community coalitions; fair board meetings; county wide project meetings; chartering; recognition and achievement programs; carnivals; National 4-H week promotions; livestock tagging and weighing; county fair; state fair; facility management/maintenance; etc. When reporting program management, enter only the demographic information, do not enter programs taught or instructional hours. If you have a teaching role in one of the examples listed above, it would be entered under the appropriate educational program area not program management. For example, if you held a workshop for members during livestock tagging, you could enter that information separately under Educational Programs (not listed below). However much of the work with livestock tagging is probably program management and you could enter the individuals you have contact with in the process of conducting the livestock tagging as a direct contact. Another example would be if you meet regularly with a community coalition for the purpose of sharing events and activities that Extension is involved in and those meetings don’t result in an educational activity, it would be reported under Program Management. According to the U.S. Department of Health & Human Services, federal poverty levels in 2018 were $12,140 annual income for one person in the household; $16,460 for two; $20,780 for three; and $25,100 for four persons in the household. The poverty rate overall in Wyoming was 11.3%, that’s 64,054 people. When considering gender and age, the poverty level increases to 13% for children under 18 and 13.1 % for working-age women in Wyoming (https://talkpoverty.org/state-year-report/wyoming-2018-report/). If a family of four has an annual income of $25,100 that’s $2,091.66 a month. Talk about the following items for your county: affordable housing, food security, transportation, etc. Subtract the cost of housing, food, transportation from that $2,091.66 and how much disposable income is left for the month? What barriers might exist for families who face these financial situations? What might keep them from participating in Extension programs or using Extension as a resource? We must understand the potential barriers before we can begin to identify ways remove them. Following are 2019 dates and locations of the national conferences which may be of interest when scheduling state-wide events. Many of these national conferences are also supported by the Professional Development Funds through my office. youth development, educational program implementation, and in providing leadership and support for various experiential learning activities. Attending the University of Colorado in Boulder, she graduated with a B.A. in Anthropology in 2015. Since graduating she has worked as a summer day camp coordinator for the Heifer International Learning Center, counselor & rock climbing supervisor for High Trails Camp for Girls, assistant youth program coordinator for the Pueblo County Boys and Girls Clubs, and most recently was the Agricultural Exchange Representative to Japan through the International 4-H Youth Exchange in Colorado. Emily’s e-mail is ehaver@uwyo.edu. I hope everyone had an enjoyable winter break and happy holiday! I have a Farm Bill update for the EFNEP and SNAP-Ed programs. The Farm Bill that passed aligns more closely with the senate version, which is good news for Wyoming EFNEP and SNAP-Ed. The bill maintains the current funding structures for both EFNEP and SNAP-Ed. The bill requires that NIFA (EFNEP) and FNS (SNAP-Ed) work more closely together to best serve the low-income audience. It also requires an electronic reporting system. As you are aware, in the Mountain Plains Region, we have been using PEARS (Program Evaluation and Reporting System). I believe that this system will be one of the choices for moving towards a national electronic reporting system. We will see what transpires in light of this new mandate. Although the Farm Bill did pass, it still requires budget approval and authorization. This has been put on hold due to the government shutdown. We are anticipating that we will receive our 2019 allocation amount that was approved by FNS based on our plan submission. We are pleased to announce a new addition to our ABO/CNP team. 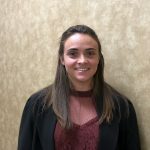 Danette Altergott was hired as a new accounting associate, senior. She will be the primary account manager for both EFNEP and SNAP-Ed. Danette’s office is in with ABO – Ag 143. Her email is dalterg1@uwyo.edu and her phone number is 766-6372. Here’s to a happy and healthy 2019! January 2019’s State 4-H Zoom call was recorded and can be watched online at https://youtu.be/rEpAbgVB20U . Enrollment continues and seems to get a push in the early months and good communication with new 4-H members, their families, and new volunteers is important in starting off their 4-H experience on the correct foot with good information and a positive relationship. Using 4HOnline email replies can be effective in that initial effort. Each county has backpacks to give to first year members as well as a welcome gift- please use them this way. Keep checking on the 4-H Connect blog for information as well. Lastly, a reminder of the link to many opportunities for youth enrolled in livestock projects including the ANSC 1109, virtual judging contests, livestock sales and shows, etc. can be found and contributed to under the “Opportunities” link and the “Animals” icon. UW Campus Pass men’s basketball game is scheduled for Feb 16th against Nevada (a nationally ranked top team) at 8:00 pm on ESPN. Converse County 4-H Youth Development Educator – Position #4365. This is a non-extended term position. Interviews were held January 9-10, 2019. Teton County 4-H Youth Development Educator – Position #4440. This is a non-extended term position. Interviews have been scheduled for January 29-30, 2019. Campbell County 4-H Youth Development Educator – Position #4842 located in Gillette, Wyoming. Carbon County Office Associate – Position #5130 located in Rawlins, Wyoming. After 30 plus years with UW Extension, C&T manager/graphic artist Tana Stith has begun another chapter in her life. We had a get together on her last day, January 4th with almost all of her family by her side and lots of past employees, bosses, friends stopping by to wish her well.